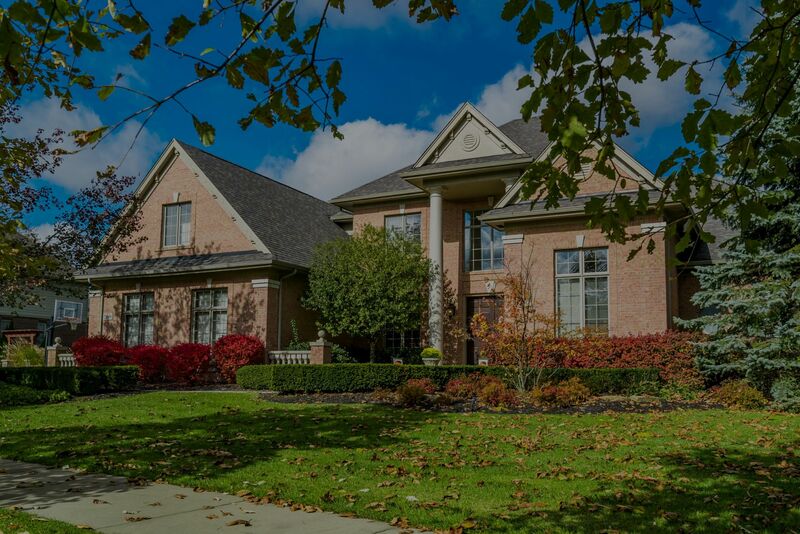 This gorgeous Cape Cod is located in Northville’s premier gated community of Maybury Park Estates. The all brick exterior of this Georgian-inspired masterpiece marries historic charm with modern elegance. The meticulously manicured four seasons landscape compliments the exterior beautifully, accentuating the front porch and backyard brick patio. The first-floor master suite features dramatic raised tray ceilings with recessed lighting and plenty of natural light from the eastern exposure windows. The spa en suite bathroom has his-and-hers vanity with jacuzzi tub. The two-story high ceilings are the essence of drama creating a palatial family room. The two-way fireplace anchors the space, while the floor-to-ceiling window and exposed wrought iron and wood staircase add architectural elements to an already generous room. The eat-in kitchen features similar styles of raised, dramatic ceilings with modern amenities, like stainless steel appliances. The raised island is perfect for family gatherings or entertaining, as does the dining room and matching wet bar. The second entrance off the 3-car garage leads to a practical and convenient mudroom. Off the stairs on the second floor is a second bedroom, which could easily double as a guest suite. Down the hall is a small study area with two bedrooms connected by a darling jack and jill bathroom.